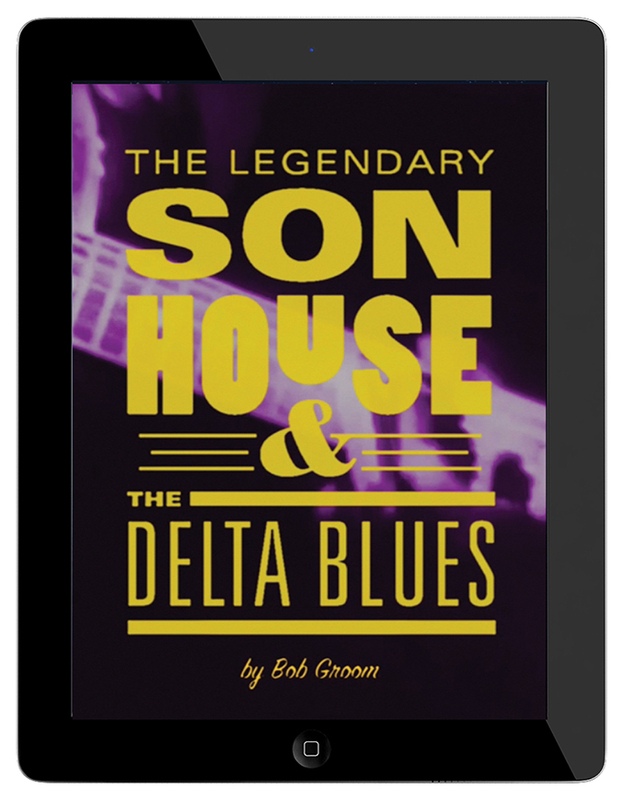 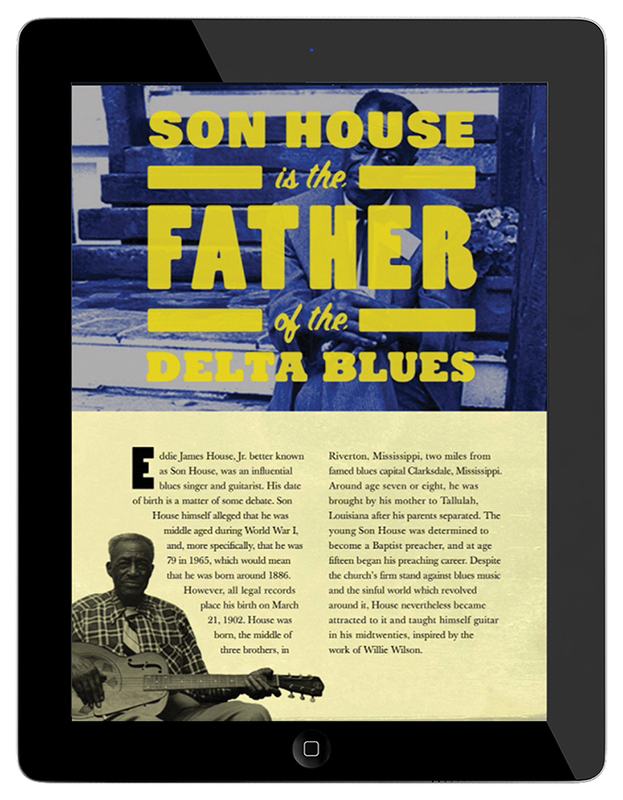 A fully functioning IPad magazine for those who crave delta style blues. 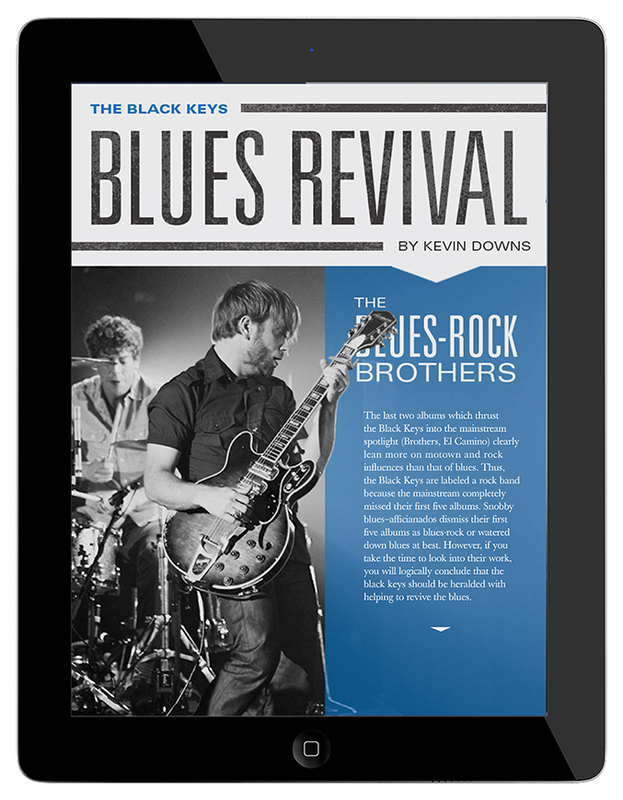 The app features articles with interactive videos, images and scrolling type. 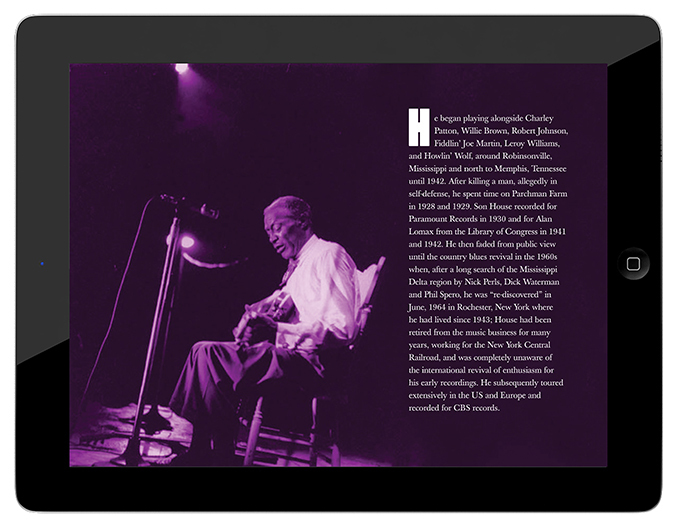 It functions in both horizontal and vertical formats. 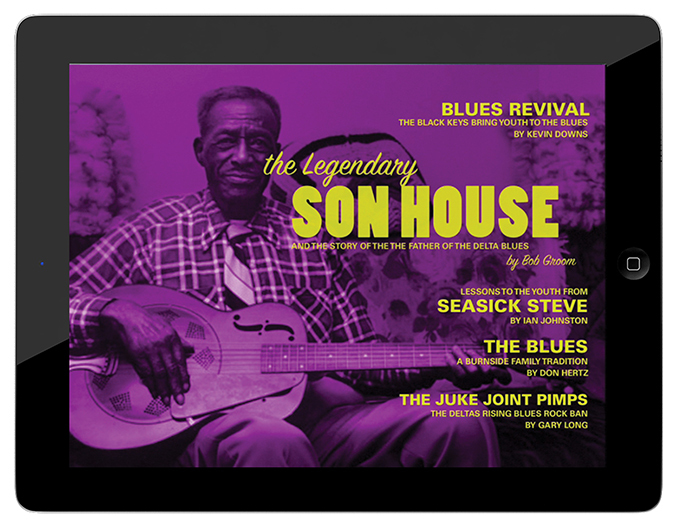 I drew from vintage blues records for the visuals using big type and duotone graphics.